Although women hold almost 52 percent of all professional-level jobs, American women lag substantially when it comes to their representation in leadership positions: They are only 14.6 percent of executive officers, 8.1 percent of top earners, and 4.6 percent of Fortune 500 CEOs (The Women’s Leadership Gap, 2015 update). 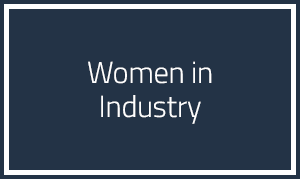 SCMEP’s Women in Industry Leadership workshop is a one-day workshop aimed at the professional woman who is interested in growing her leadership skills to the next level. Social Styles – Styles is a tool that helps you to understand why some business relationships are more productive than others. As a participant, you will learn about your own interpersonal communication style and how to recognize behavioral clues that give insight into others’. This session stresses the value of versatility as a tool to improve interpersonal communication in business relationships improving teamwork and productivity. Strengths Based Leadership – Identifying your natural leadership talents and developing them into operational strengths is an essential tool in anyone’s toolbelt. Based on over 50 years of Gallup research and explained in the best seller, StrengthsFinder 2.0, thirty-four natural leadership strengths are defined and explored. You will leave with a copy of the book which includes a code to access Gallup’s online strengths assessment and discover your top five. Then, you can put them to work for you. Positive Personal Strategies – Learn key strategies for using positive influence in your workplace and your life. Our personal outlook affects our interpersonal relationships, our health and our wellness. These tools will help you have a positive impact on the culture of your team and your organization. Communicating for Results – Learn the power of direct and effective communication, how to approach “difficult” topics and resolve conflict. Tools include establishing goals for the discussion, identifying undesirable behavior and looking for the win/win.